Watercolor as a powerpoint background for presentations is a brilliant idea to amaze your audiences, not only beautiful to look at but also popular and widely used on various design project. 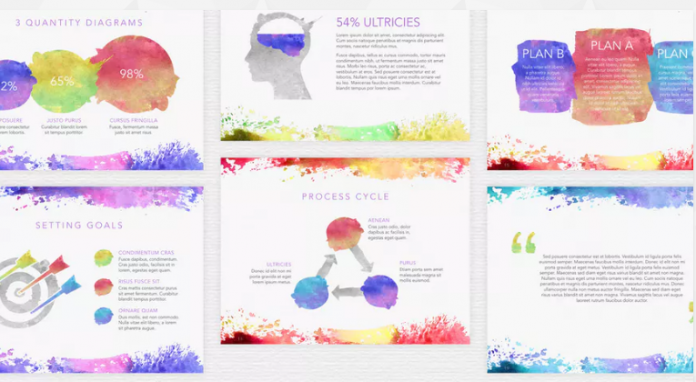 The watercolor powerpoint template can be used for various presentation topics, especially for presentation related to art and design topics. 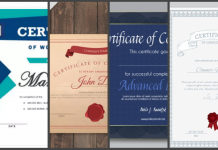 Choosing the right watercolor background for your presentation may not be easy to do, but in this post we have gathered some of powerpoint templates that have watercolor background that may be suitable for you. 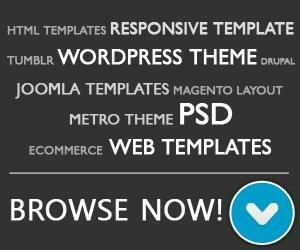 You can download these templates in PPT and PPTX file format which you can customize to your liking. 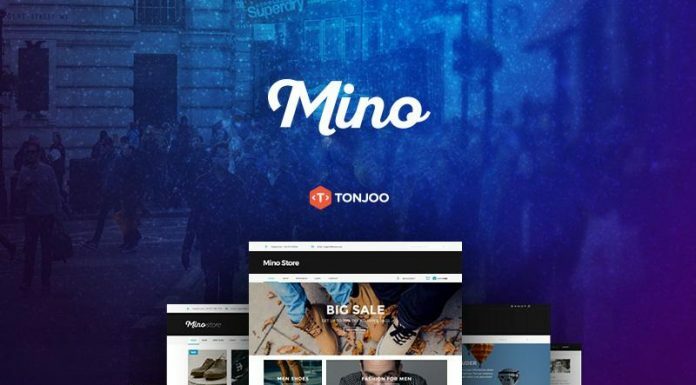 Some elements, color schemes, font and layout can be changed. 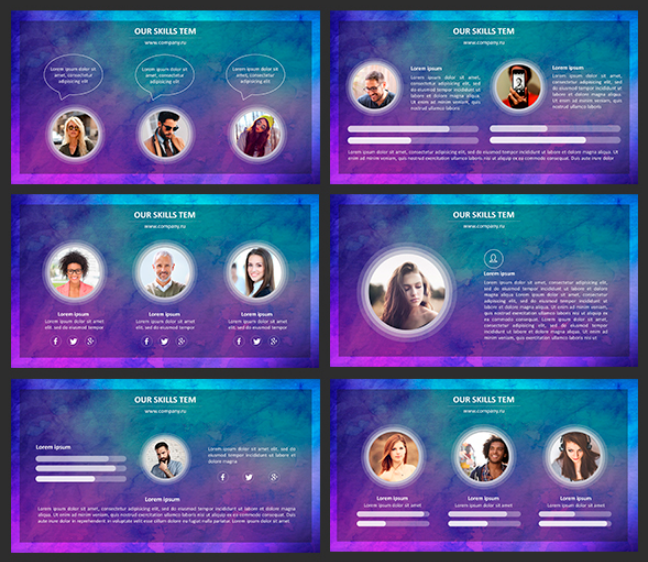 PowerPointify watercolor Powerpoint template will make your presentation become unique and attractive. 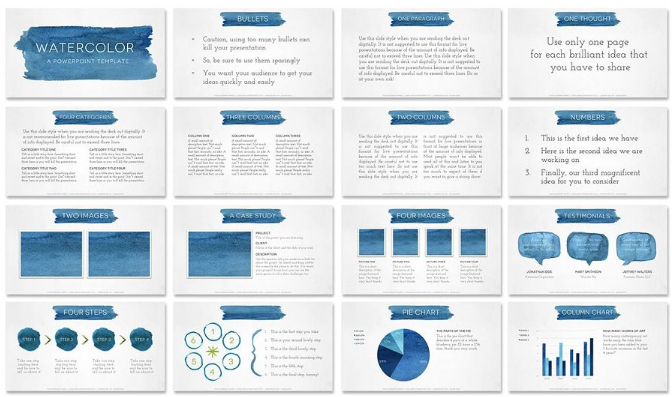 This free PPT template has bright watercolors original layout slides which easy to customize. Aquarelle Powerpoint template come with nice hand painted watercolor graphics. 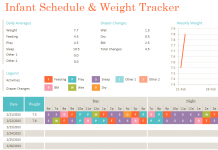 You can insert images, videos, charts, texts and and define your flow with these easily editable powerpoint layouts. 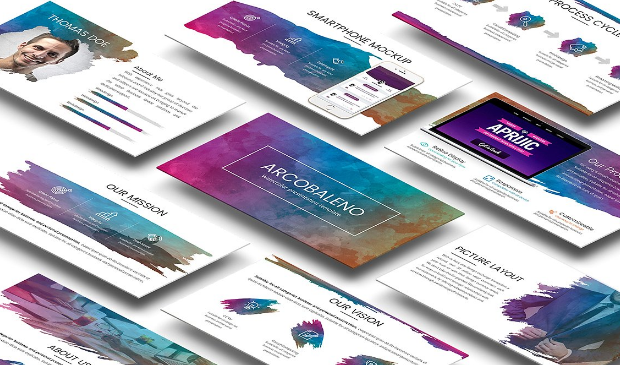 This colorful watercolor PowerPoint template include unique layout design for your important presentation. 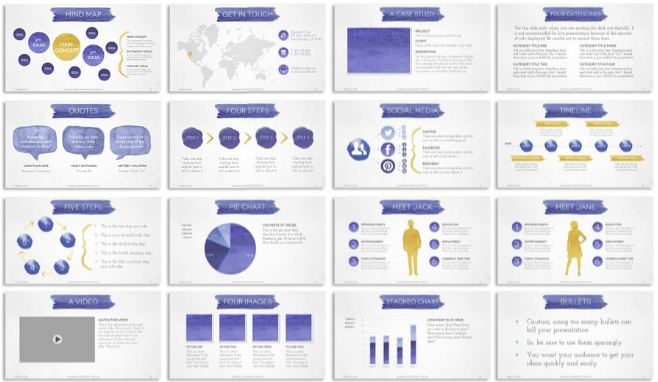 Included 20 different slides, 4:3 size, charts, diagrams and data visualization elements. 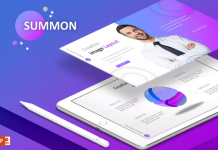 This pastel colored presentation template has a beautiful color theme with 135 different icons. It perfect for classes and business related to art presentation. 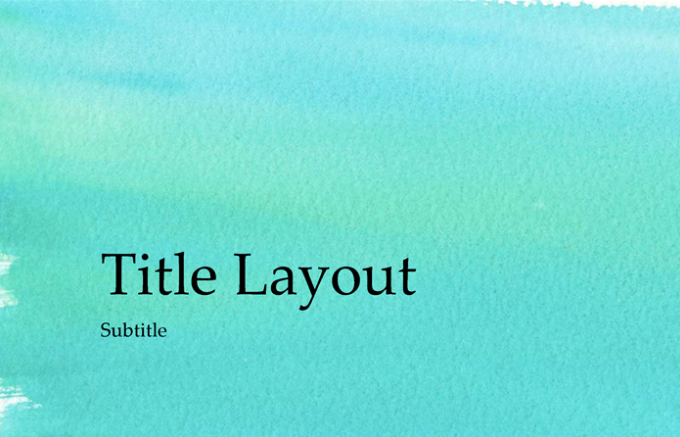 This free fullscreen / widescreen watercolor presentation template has a paper texture and color wash like a watercolor painting. A unique and elegant watercolor PPTX Template that make your presentation outstanding, include animated slides with beautiful trantation and free font to use. 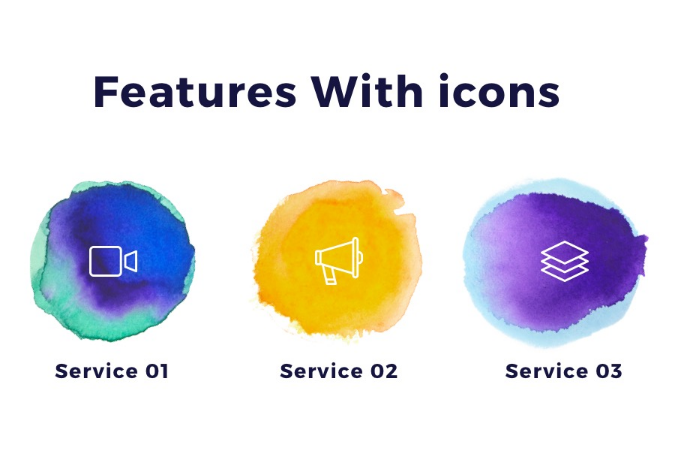 19 customizable slides of stunning watercolor powerpoint template with three unique color schemes. 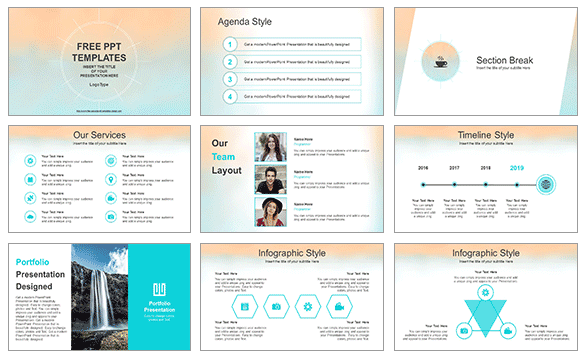 Artsy and Playful Powerpoint template is free, fully customizable with a lot of different slide layout. The design has very bright colors will engage the audience. 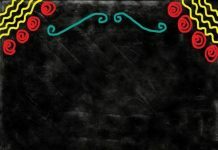 The Google slide template also avaiable to download. Arcobaleno using a watercolor style with different layout for specific purpose. 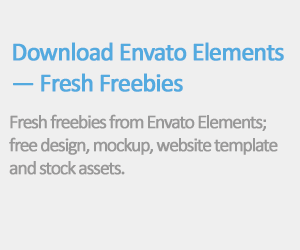 All slides, color, background and elements are editable. 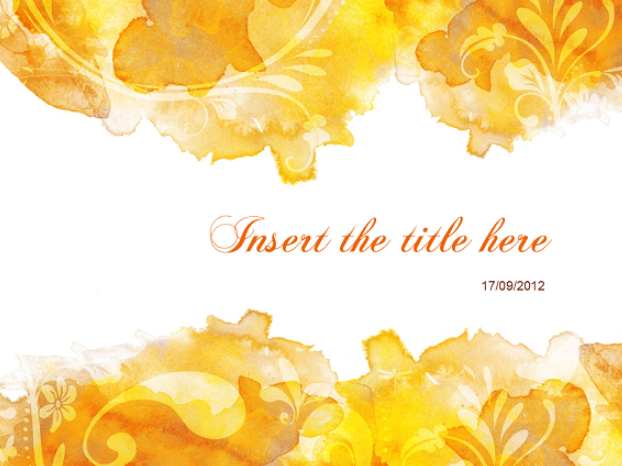 A free watercolor and floral template for PowerPoint, included 2 slides and 1 frontpage. 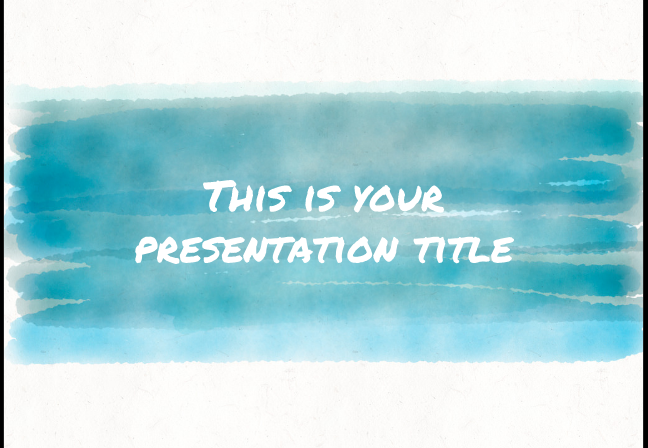 This template can be used for any kind of presentation topics.